The sale, which ended on February 19, saw shopaholics treating themselves to a fabulous shopping spree from a variety of branded lifestyle stores ranging from fashion and beauty, household to food items at the outlet mall, adorned with spring-themed floral décors featuring traditional and modern elements for the Chinese New Year season as well as pink cherry blossoms. These were complemented by a series of interesting activities lined up for shoppers, such as the ‘Catch and Win’ contest (ended February 10) in which patrons stood a chance to win over 10,000 attractive prizes including the Vespa (grand prize), iPhone XR, iPad, smart & android FHD DTV, Gintell massage chair, camera and MOP KLIA shopping vouchers. There were also Hourly Specials (ended February 8) such as coupon redemptions for coffee, ice cream as well as a two-hour free parking from participating outlets such as Starbucks, Coffee Bean, Fan Japan and Baskin Robbins with a minimum spending of RM100 and above in a single receipt at any of MOP KLIA outlet. Customers who spent a minimum of RM100 in a single receipt were entitled to redeem MOP KLIA’s Limited-Edition Red Packet available at the Information counter located at Sunshine Square (ended February 19). 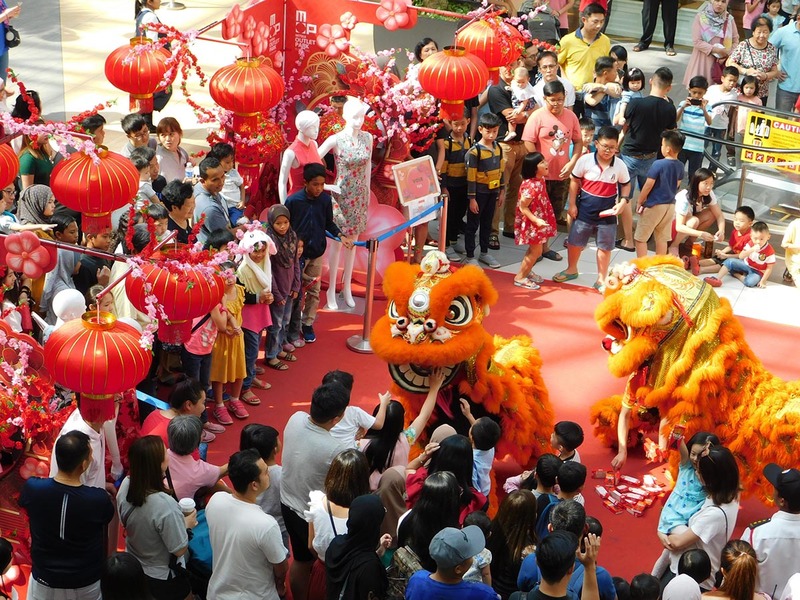 Adding to the festive mood of the outlet mall were a few cultural performances including the traditional and acrobatics Lion Dance and God of Prosperity, Dragon Dance and the Eight Prosperity Drum, taking place between January 19 and February 6. Lovebirds were also able to partake in the MOP KLIA Valentine’s Day Special, a cool mug printing and photo booth service for its first 300 customers who spent a minimum of RM300 in a maximum of two receipts (ended February 10). Additionally, the first 100 customers who spent the similar amount were also entitled to an exclusive stalk of rose (on February 14) available at the information counter by presenting the receipts. MOP KLIA is strategically located, just eight minutes away from KLIA and approximately 45 minutes from KL City Centre. The outlet mall is easily accessible through the various highways namely ELITE, LDP, KESAS, MAJU and NKVE. Getting to MOP KLIA is also convenient via the KLIA Ekspres which departs from KL Sentral every 20 minutes to KLIA and klia2 and thereafter visitors can take the dedicated free shuttle bus that is offered to and fro KLIA and klia2.